Pro How is it this comfortable? And fast? And nimble? Break it down and it’s actually a throwback to earlier heritage models. The Ferrari 250 GT Berlinetta Lusso for instance, which first appeared in 1963, is oft-considered one of the most elegant grand tourers to ever don the prancing horse, just as its 1966 replacement – the 330 GTC – was designed to effortlessly cruise the autostradas of Europe before rolling up its Versace cuffs and going like stink across the Stelvio Pass. There’s also links with the 365 GT 2+2. Throw in a ‘4’ to reference the ‘four comfortable seats’ rather than the four-wheel drive, for some reason, and we’re done. Still, don’t let the idiotic GTC4Lusso name fool you, nor the subtle tweaks to the design. It’s clear that Ferrari’s new flagship Gran Turismo is much more than ‘just’ a revised FF with a new badge and a sharper fitting suit. It is, in effect, the new ‘everyday Ferrari’. Take the cabin design for instance. In the FF, the old – and smaller – infotainment screen nestled neatly beneath three central air vents, but a maddening button layout and a gormless reaction speed made it more rage inducing than trying to assemble a 5000-piece jigsaw puzzle with your elbows. Throw in a dozen or so switches for the climate control and the whole setup felt overly stuffed with gadgetry, like Maranello’s board of directors were trying to justify the FF’s price tag. And the cabin in the GTC4Lusso…? Mounted flush in the centre console is a much larger 10.25in HD touchscreen that’s almost bafflingly straightforward to use by comparison. Question marks over build quality have also been put to bed without sacrificing the ‘floating’ window switches or arcing grab handles in the centre. Five cylindrical air vents become four, opening up the dashboard considerably, while the ‘Dual Cockpit’ read-out in front of the passenger – one of my personal favourite touches in the FF – is also larger at 8.8in and now multi-function. The whole thing is just fabulous. Between the old FF and the new GTC4Lusso, there’s only 15mm, 27mm and 4mm more length, width and headroom respectively, yet there’s a much airier sense of space in the cabin. Admittedly a lot of this is down to the optional glass roof, which might set you back some extra cash but remains a very good option to specify. Staring at the arse-end of an Emirates A380 may get a little tedious, but as well as lifting that innate sense of claustrophobia most fastbacks emit, the glass also incorporates a technology that reflects solar rays away from the cabin. Very clever. The multi-function steering wheel retains its flat bottom and manettino switch for the drive modes, but it’s clear there’s been a rethink. There’s a new rotary dial to select windscreen wiper settings more easily, and while this will hardly be burnt out through over-use in the Middle East, the indicators can now be activated from the back of the spokes as well as the front. It’s a small change, but a big improvement. Perhaps the most impressive comfort of the new ‘everyday’ GTC4Lusso though is the ride quality, which is genuinely astonishing. Across several highway runs, the magnehetor….magnetoehor… the dampers do a magnificent job of ironing out imperfections in the road surface, especially in ‘bumpy’ road mode. Improved sound insolation muffles that naturally aspirated V12 soundtrack a tad, granted, but at a cruise, the GTC4Lusso, despite its size and 1920kg girth, feels remarkably unruffled. How very Lusso. True. Opting against the turbocharged route – though there is now a ‘T’ version of the GTC4Lusso – our test model is fitted with the same, albeit modified, 6.2-litre V12 from the FF. It produces 680bhp and 697Nm (514lb ft) of torque compared with its predecessor’s 651bhp and 683Nm (504lb ft). Peak power is unleashed at a heady 8000rpm, at which point you’ll want to lower the windows to hear the beautiful fury of that naturally-aspirated roar. 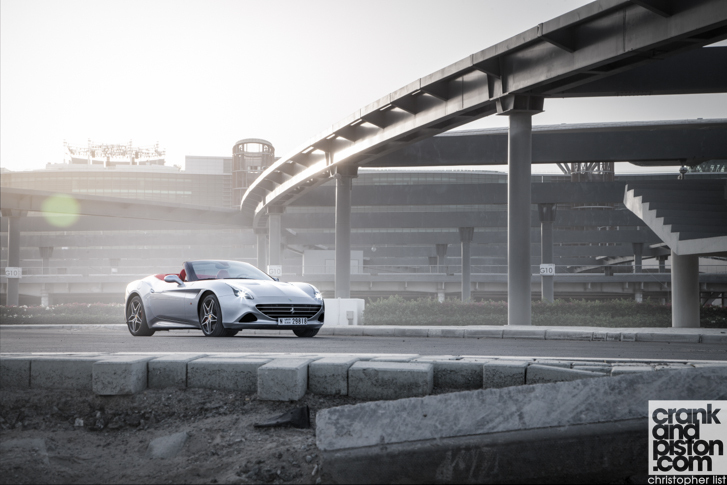 Aston Martin runs it close, but Ferrari’s V12 is still the acoustic weapon of choice. Regardless, the GTC4Lusso and its ‘sporty soul’ feels fantastically nimble through the corners, despite the long bonnet and added notches on the belt. Of course there’s greater pitch and roll than you’d find in the 488, but under turn-in, the GTC4Lusso still feels nimble and feisty, stupid amounts of grip allowing you to lean on the front end and get the hammer down on the exit thanks to superb amounts of traction. Due credit here to the updated 4MR-S four-wheel drive system, which has been re-engineered to increase agility out of the corners. No doubt the rear wheel steering is adding to the agility but doesn’t in turn make the front end feel overly hyper-sensitive. 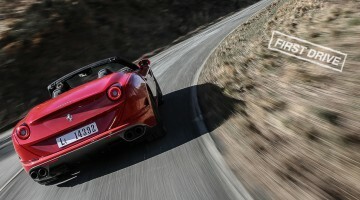 Don’t expect the most engaging of drives though: the steering is still light and overly rapid – a Ferrari trait – and when combined with the new rear-wheel steering does make the front end feel rather numb and disconnected. Under turn-in, it’s difficult to fully sense how much load the front wheels will take before eventually letting go. Not something you want to be mulling when surrounded by $295K. At this point, I could be cynical and childish, focus too much on the overly convoluted nomenclature, the slightly laboured steering, and question whether the Ferrari ‘punch’ under acceleration has been dialled back too far. But I’m not going to. For starters, the GTC4Lusso handles with a nimbleness no car of its size should be capable of doing, the speeds its V12 can reach will boggle the grey matter, and quite how Italy’s most famous supercar manufacturer has developed a car this comfortable and civilised I’ve yet to fathom. Perhaps in time I’ll start to wonder whether an ‘everyday Ferrari’ is really what that prancing horse badge truly represents. But not today. Today, the GTC4Lusso, ridiculous name or otherwise, is simply astonishing. Enjoy our Ferrari GTC4Lusso test drive?